In this episode Cara takes a deep dive into the importance of balanced or coherent breathing and why it’s essential to pay attention to the quality of your inhale and exhale. She explains the impact our breathing pattern has on our nervous system and ultimately on the quality of our life. 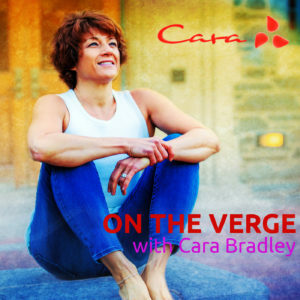 Cara explains HRV or Heart Rate Variability and how this measure can be used to assess our overall level of clarity and vitality. This episode is packed with information to get you motivated to notice how you’re breathing and to strengthen your breathing muscles to support your life. Check out the Breathing practices in my book On The Verge: Wake Up, Show Up, and Shine and on the free On The Verge app iTunes and Google Play.